Seven to eight ministers and other big leaders of TMC have been posted in Basirhat South Assembly Constituency. 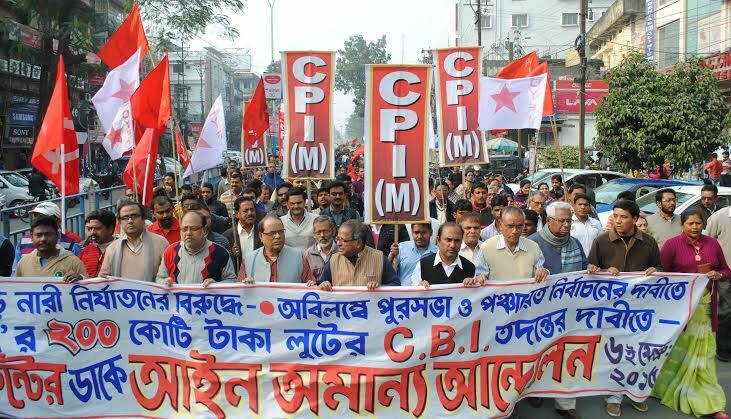 A conspiracy has been hatched to to loot votes in the coming by-election, said Gautam Deb, Secretary North 24 Parganas District Committee of CPI(M). But such conspiracies will not go unchallenged and workers of the Left parties will put up a formidable resistance to it, he declared. 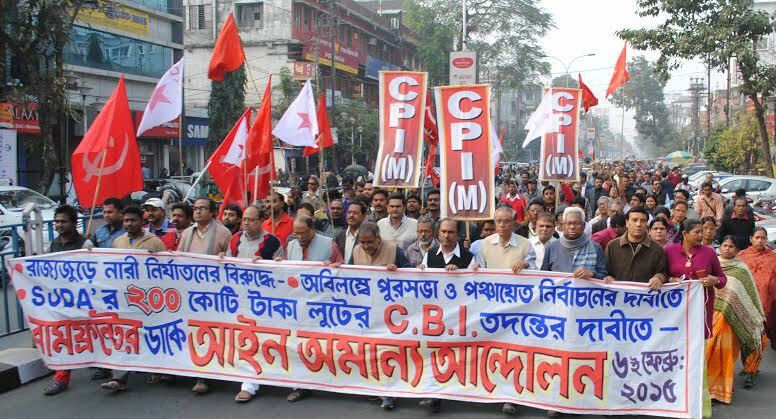 The seat fell vacant following the death of CPI(M) MLA Narayan Mukhopadhyay in March, 2014. By polls are scheduled to be held on September 13. 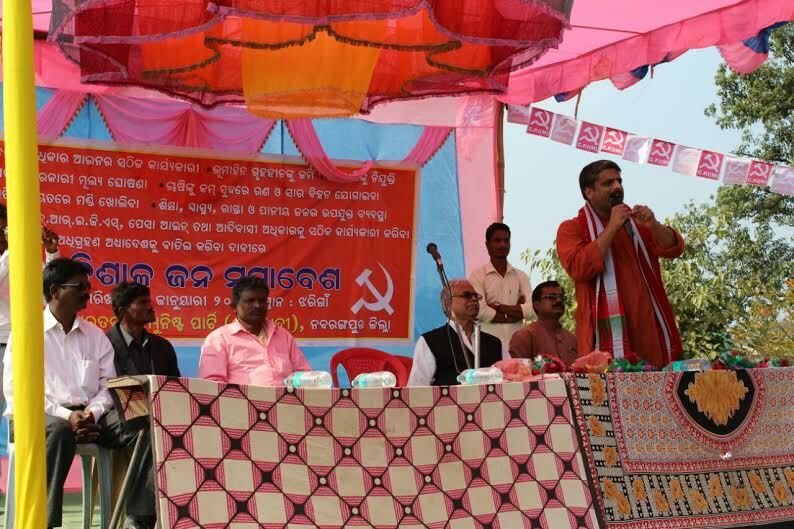 Mrinal Chakraborty is the Left Front nominated CPI(M) candidate. 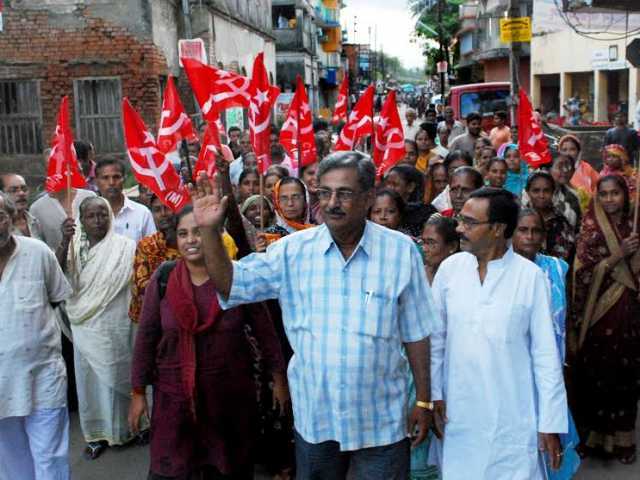 A member of the secretariat of North 24 Parganas District Committee of CPI(M) he is the leading face of the Party in the district. During the last Parliament elections the votes polled by the BJP had increased. But within three months of the Modi government in office, people have already started questioning its performance on various fronts particularly on the issue of price rise. Now it is relying purely on the communal card. 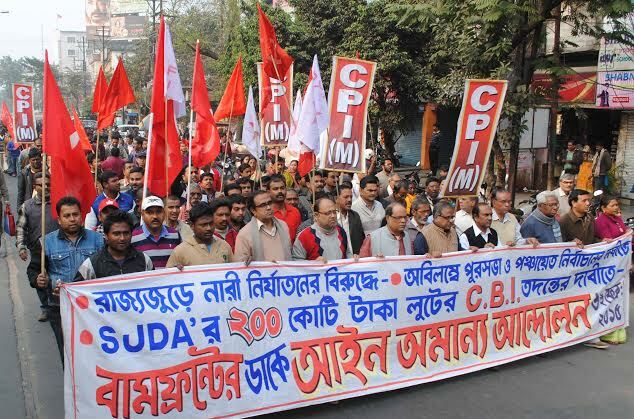 The ruling TMC, on the other hand has now become synonymous with the Sardha chit fund scam. 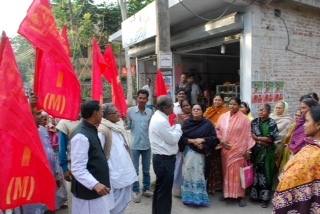 Like in other parts of the state all the goons and anti-socials are uniting under the TMC flag in the constituency. Crimes of all kinds, especially violence against women and forceful collection of levy are common. 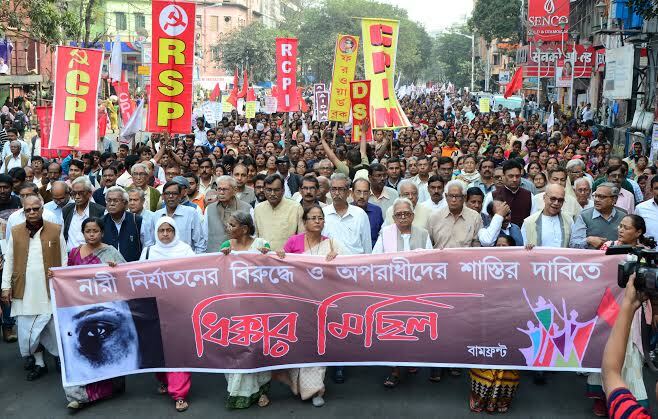 The campaign by the Left Front is gaining momentum with the people expressing their desire to defeat the communal ploy of BJP and hooliganism of TMC by voting for the CPI(M). The Chowringhee seat fell vacant following the resignation of Trinamool legislator Sikha Mitra. Faiyaz Ahmed Khan, lawyer by profession, former Councilor and Member Mayor-in-Council of Kolkata Municipal Corporation, is contesting the election as Left Front nominated CPI(M) candidate. He has been a popular face in this part of Kolkata for being with the people since his college days. The voters of this constituency are not happy with the resignation of the MLA whom they had elected for the entire term. Nor are they willing to accept the candidature of film actress Nayna Banerjee, wife of local TMC MP Sudip Banerjee. Nayna formerly was elected as MLA from this constituency before delimitation. 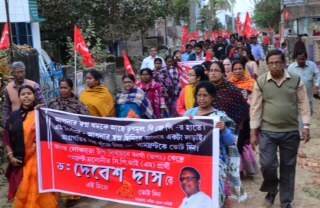 The scarcity of drinking water, widow pension, old age pension and pension for persons with disabilities have all been discontinued during the tenure of TMC in the Kolkata Municipal Corporation. 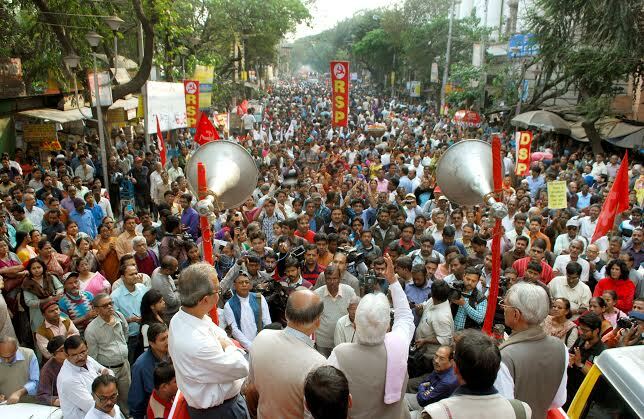 The constituency is at the heart of Kolkata. The population density of this constituency is highest in the city. The dissatisfaction among people is posing serious trouble for the ruling party. The Congress candidate is an elected Councilor of KMC better known for his association with the illegal constructions. People are identifying themselves with the slogans raised by the Left during the poll campaign. 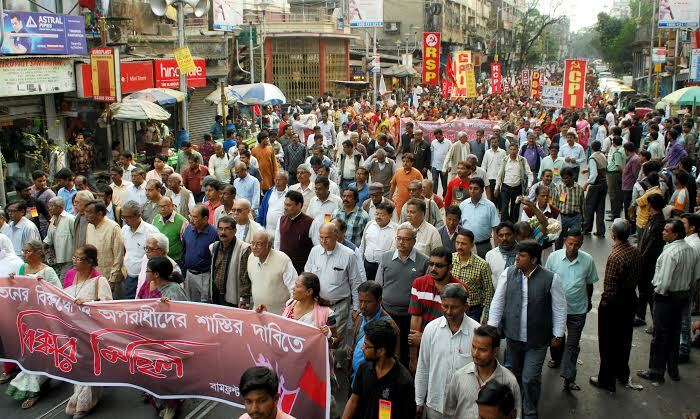 There has been an encouraging participation in the rallies organized by the Left Front.